took to following me down the trail the other day. I think it was expecting a treat, but I didn’t have any to give. I think it was a bit cross at me! This entry was posted on 2014/09/09 by Robin. 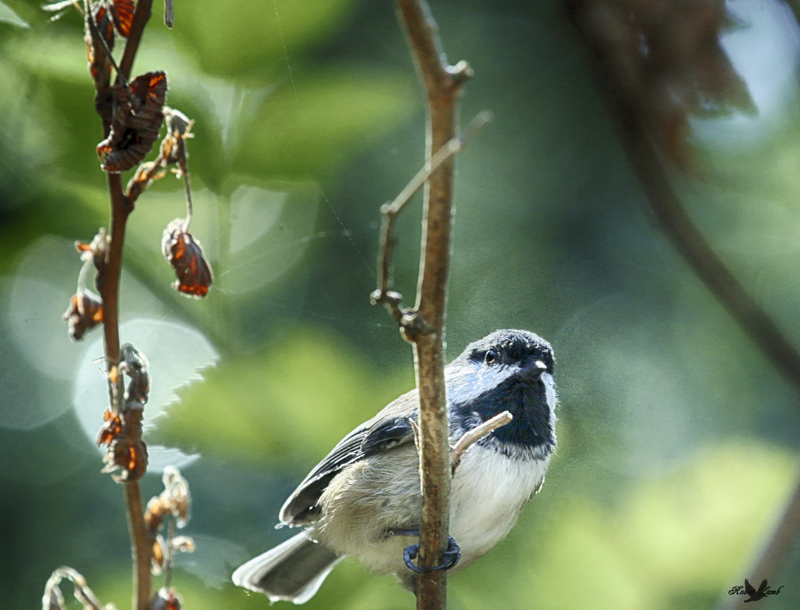 It was filed under Birds and was tagged with B.C., Black-capped Chickadee, Ladner, Reifel. He does look a little cross,but still so cute. Ruth, thanks! They are such cuties, aren’t they! Pat, yes it was really inquisitive!